Definition, 4 elements, high quality lens. I called the supplier and spoke with a sales representative, he told me that he had sold hundreds of these lenses, and buyers were very satisfied, and he never had any returned; but if I wasn't happy with the lens they would give me a refund. There was something nagging me about this lens, I had noticed that when I looked through the lens at news print, I could see the distortion, but when I reversed the lens the distortion was virtually gone. 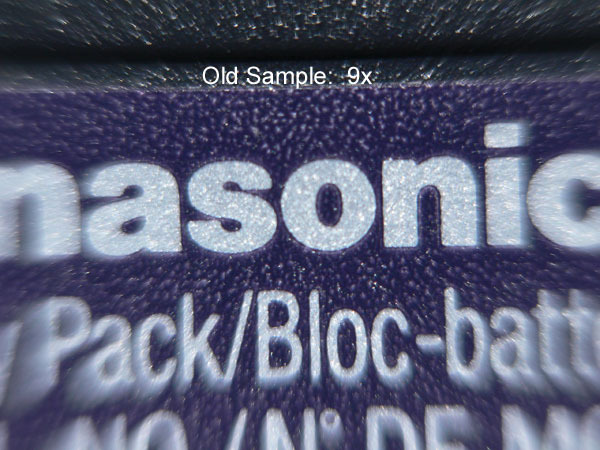 So, on a hunch I re-tested the lens in reverse. Have a look at the results bellow and tell me what you hink. 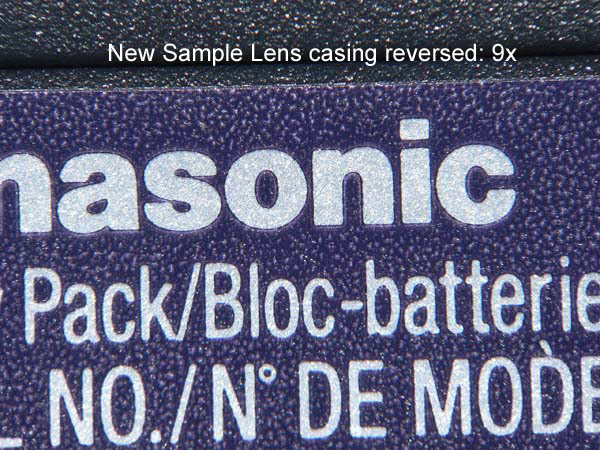 I think the lens elements were mounted in reverse in the screw mount casing, either a bad batch or a single case human error, who knows, or possibly poor quality control. I am sending the lens back and the sales rep. will verify and send me a properly mounted lens or if all lenses are the same, a credit. That's a trip. Looks much better:? How about that?!? Way to hang in there, Gilles.This renews my faith in advertising and in Optica. 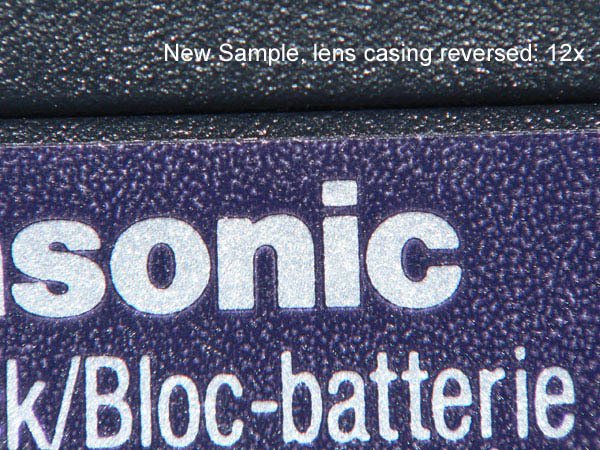 This certainly does look likehigh qualitylens in a class with the dcr250. Did you get it at amazon/47th street for $50? 55mm? Yes, I got the lens from 47th street photo for $50. It's not the 55mm one, but 58mm and it came with two step-down rings, 58 to 55mm and 58 to 52mm. They seem to have three thread sizes available for this lens, 52mm, 55mm and 58mm. I may have made some assumptions about the complete reversing of the lens elements, there's still the possibility that the problem is with the internal elements and reversing the lens solves the problem; or possibly that the lens design wont work with the FZ's and I just hit on a way to make it work. If you don't mind my asking, what is the model number for that lens? Do you have a URL that points towards a site selling them? The model is: Optika HD 10x Pro Macro lens.